/ What is Stage Lighting? Stage lighting, in the obvious realm, is lighting that is on a stage. Equipment, using electricity to create photons, illuminating the stage for us to see. Physics and electricity being controlled by human hands. Practically, we see that stage lighting provides light for better sight. Digging deeper, we find that we can shape someones focus with light drawing their eyes around the stage. We can communicate emotion using color and type/amount of light. Stage lighting is a practical way to increase attention in a meeting or church service, providing a clear view from many or few rows away. Lights can illuminate people and scenery on stage for the camera too, providing broadcast video feeds and IMAG, or image magnification, for viewers in another room, or anywhere in the world! Looking from an abstract level, we can see stage lighting as an immensely powerful tool. Lights can enhance the mood in thee room for many types of events. 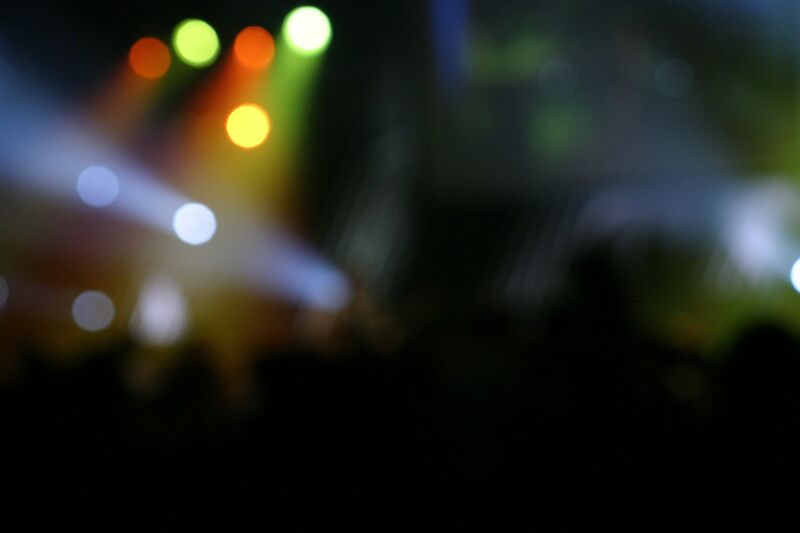 A typical show on a stage, whether that is a performance, worship service or corporate presentation, can be enhanced by the use of stage lighting. A talented lighting designer can transform a simple event into something of elegance. Parties, dances and weddings can be enhanced by simple uplighting or gobo projections. Sales meetings can be turned into event remembered all year long, motivating employees via their memories. Church services can enhance the communication of their messages via color, form and movement. Every type of these events has a theme and mood set by the director, producer or pastor. Lighting can subtly or boldly add to that mood, making the presentation more powerful. Lighting can change color and shape to match the mood being set by the presenter, or even move and flash to communicate energy. Lighting can draw congregants or audience members in to focus intently on an important point, and keep their focus on the presenter. Proper use of lighting can transform a space from bland for fantastic! Although stage lighting can sometimes get bad rap, when done properly, a good lighting design great enhances the mood and presentation of your service or event. You may come from a church or facility where the lighting doesn’t help anything- you’ve come to the right place. You may come from a place that overused lighting and made the gospel all about the show- you’ve come to the right place. Stage lighting is a powerful tool in your hands and mine. We have been given this tool to enhance messages and provide practical illumination, and you’ve come to the right place to learn more.